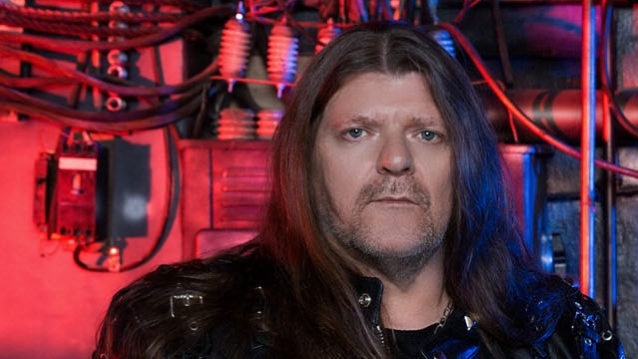 Bassist Fitty Wienhold has introduced his departure from U.D.O., the German heavy metallic band fronted by former ACCEPT singer Udo Dirkschneider. He continued: “I am unable to put in phrases what all these years meant to me, what these years gave to me, what you all gave to me. Actually, it was 1 / 4 of my life. Fitty added: “I am grateful that I’ve met so many good folks everywhere in the world, and it was all the time a heat welcome. And I all the time felt that to offer 100% shouldn’t be sufficient. Wienhold‘s last efficiency with U.D.O. will happen subsequent month in Palma de Mallorca, Spain. U.D.O.‘s new album, “Steelfactory”, was launched on August 31 by way of AFM.